In October 2017, Dr. Freddy Cardoza, the Dean of Podcast Seminary, traveled to teach and consult in the former Soviet Union, in Ukraine, for Talbot School of Theology's Kyiv Extension. Enjoy this audio session where Podcast Seminary offers a five-episode series, presented in the Russian Language. It features church leaders from Eastern Europe and Central Asia who speak about important issues facing Christian churches in those areas. 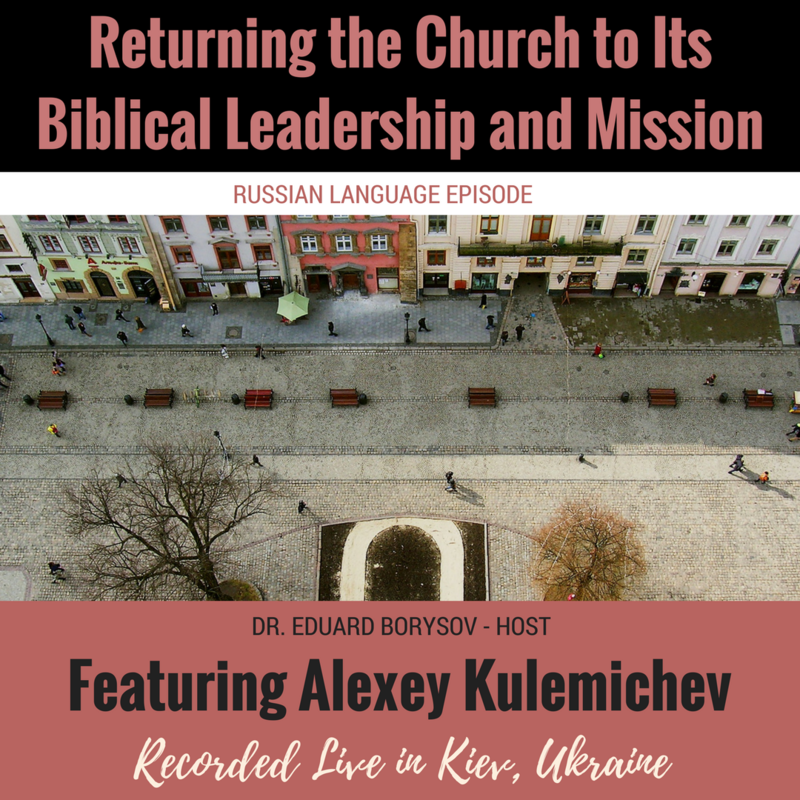 Listen as Dr. Eduard Borysov interviews Alexey Kulemichev, as they speak about "Returning the Church to Its Biblical Leadership and Mission," as recorded live on location in Kyiv (Kiev), Ukraine at the Talbot School of Theology Extension.